Babysitter Blues. It's SO not worth 10 bucks an hora considering who she's stuck with! lol. HD Wallpaper and background images in the Codename: Kids siguiente Door club tagged: knd codename kids next door. 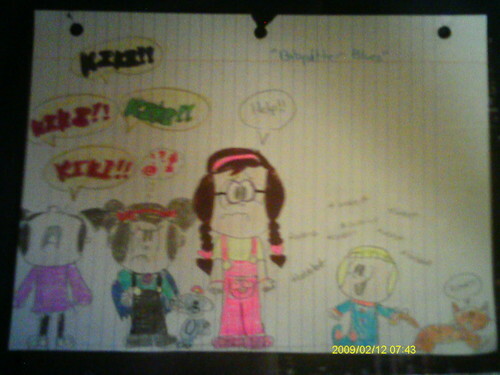 This Codename: Kids siguiente Door fan art contains signo, cartel, texto, pizarra, and letrero. YAY SEMI-SUCKY DRAWINGS AND QUALITY! How Kiki got into babysitting Valentina, Mushi, and Joey STILL stumps me. LOL. Val: (edited for language) ?!*#@!!! LOLZ!!!!!!!!!! Not Joey, Mushi and Val! That bites! I'd ask for 200 bucks an hour or no deal.